The author would like to thank the director of Moscow's Space Research Institute, Lev Zeleny and his colleagues at IKI Oleg Korablev and Ludmila Zasova, as well as Hakan Svedhem, Franco Bonacina, Amruta Mehta at ESA and Francis Rocard at CNES for their tremendous help in preparing this section. Above: The Venera-D spacecraft approaching clouds-veiled Venus. Shown configuration was only one of several designs envisioned at the conclusion of the project's definition phase in September 2009. A ball-shaped capsule containing the main lander can be seen at the top, with four mini-capsules carrying atmospheric balloons attached just below it. Individual entry capsules for each balloon would allow to deploy scientific sensors over much wider regions of the planet then it would be possible if they were all released from a single descent vehicle. 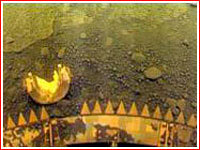 Venera-D, where "D" stands for Dolgozhivushaya (long-lasting), became the first Russian project in the post-Soviet period aimed to explore Venus. Also, it would be the second Russian mission beyond lunar orbit, following the Phobos-Grunt project. Venera-D promised to expand human knowledge about history of the Earth's closest neighbor in the Solar System, particularly about the fate of ancient water on its surface. In 2003, Russian Academy of Sciences was drafting its "wish list" of scientific projects to be included into the Federal Space Program in 2006-2015. After more than a decade-long slump, Russian space scientists at the Academy's Space Research Institute, IKI, could look forward for new projects. For the Federal Program, Vasily Moroz, one of the leading scientists at IKI, and a veteran of several Soviet missions to Venus and Mars, proposed a new mission to the Earth's closest neighbor in the Solar System. 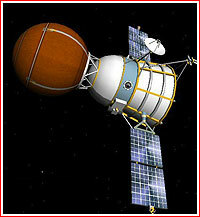 The project dubbed Venera-D would build up on completed missions, as well as on unfulfilled projects in the former USSR. The highlight of the future mission would be a longer survival of the lander on the stove-hot surface of Venus, comparing to an roughly hour-long lifespan of previous Soviet spacecraft. How long is the long duration? 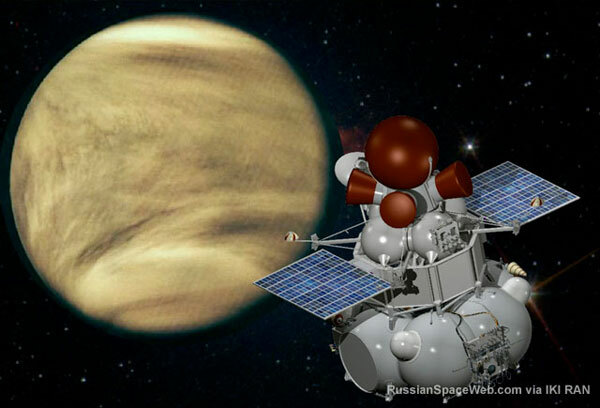 During the formulation of the mission concept in 2004, the launch of the Venera-D spacecraft was expected in 2013 and its landing on the surface of Venus in 2014. As the extended survival on the surface of Venus seemed to be the main goal of the mission at the time, planners had first to decide to what length of stay they could shoot for. This single property would mainly determine the technical challenges to the project and the overall cost of the mission. On May 19, 2005, the Space Council of the Academy of Sciences held a meeting discussing a proposal of the Academy for the Federal Space Program. A special Addition No. 2 to the transcript of the meeting defined long duration as 30 days. On October 22, 2005, the Russian government signed a decree No. 635, approving Federal Space Program for 2006-2015. It included funding for the Venera-D project, envisioning a long-duration lander on the surface of Venus, which could function 30 days. Speaking at the 5th International Aerospace Congress in Moscow, on August 29, 2006, Deputy Chief of the Federal Space Agency, Vitaly Davydov, listed Venera-D among high-priority exploration projects funded by the Russian government. 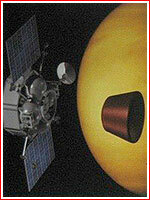 However level and timing of funding projected by the government would not enable the launch of the mission before 2016. Estimates during 2007 quoted a 2016-2018 launch window, which was contingent on the immediate beginning of funding. During 2007-2009, available money afforded a definition study only, with full-scale development anticipated in 2010. At the time, the spacecraft was expected to be launched by the Soyuz-2 rocket with the Fregat upper stage from an equatorial facility in Kourou, French Guiana. During 2008, Space Research Institute, IKI, issued a report summarizing the results of the second and final stage in the research and development study, NIR, entitled "Development of methods for complex research of Venus with the use of an orbiter, balloons, and a long-duration lander," also known as Venera-GLOB. The document formulated scientific tasks of the Venera-D mission and determined composition and characteristics of scientific instruments for an orbiter, atmospheric probes and a lander. IKI argued that simultaneous, long-duration observations from the surface, orbit and in the atmosphere could bring exploration of Venus to a radically new level. 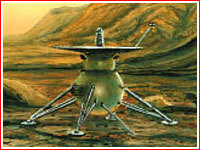 The same IKI effort also evaluated a possible Russian contribution into the proposed European mission to Venus, known as EVE. It envisioned a 170-kilogram lander delivering 25 kilograms of scientific gear onto the surface of Venus. However by 2009, ESA did not expect the EVE mission to fly until around 2024. Venus scientists of the world, unite! As in a typical planetary mission, the orbiting component of the Venera-D mission would be used to relay data back to Earth from scientific payloads in the atmosphere and on the surface of Venus. The orbiter's main science goals would be research into the composition of the planet's atmosphere and its circulation patterns. A pair of balloons would be dropped from the lander during its descent at two different altitudes. They would measure acoustic and electrical activities in the Venusian skies for up to eight days. Up to four microprobes could dropped from balloons. During their approximately 30-minute descent, they would continuously probe the atmosphere in multiple locations. A lander was designed for studies of the atmospheric composition and clouds during its descent and analyze soil after its touchdown. As of 2009, experiments with soil would not involve bringing of samples onboard the lander. (365) Also, original plans to keep the lander operating for a month were dropped due to many technological challenges of building heat-resistant electronics and their high price tag. 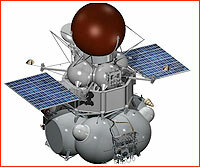 As of 2009, Venera-D mission was expected to use a standardized cruise stage originally developed for the Phobos-Grunt project. The vehicle would take over all maneuvering functions of the mission after the Fregat upper stage sends Venera-D from the low-Earth parking orbit to the escape trajectory to Venus and separates. The cruise stage would use its own propulsion system for the trajectory corrections during the journey between the Earth and Venus, as well as for braking maneuver to enter the orbit around Venus. In addition, to "classical" means of exploring Venus, which were all tried during the Soviet period, NPO Lavochkin proposed an innovative "vetrolet" (a Russian term for "wind flyer") for the Venera-D project. A kite-like device would take advantage of winds in the atmosphere of Venus, which reportedly would allow it to glide at the altitude of 45-50 kilometers almost indefinitely, or at least a month in a realistic mission scenario. An innovative vehicle could probably join the mission only as a concept demonstrator rather than a full-fledged platform for scientific instruments. An additional mass associated with the device would likely require a switch from the Soyuz to Zenit as a carrier of the Venera-D mission. The information about the Vetrolet first surfaced in August 2009 and NPO Lavochkin apparently made a presentation about the vehicle at the Venera-D conference in IKI a month later. By that time, some prototypes of the flyer had already been tested, Lavochkin's sources said. On Nov. 24, 2009, key officials in the Venera-D project, including experts from TsNIIMash research institute, IKI, and MAI, held a meeting at NPO Lavochkin, discussing technical report entitled "The formation of the preliminary design of the spacecraft for long-duration exploration of Venus." V. A. Vorontsov, the chief designer of Venera-D, presented a master schedule for the project. According to NPO Lavochkin's press-release, at the time, the organization's experience in the development of Venera, Vega and Phobos-Grunt spacecraft was studied for possible application in the Venera-D project. The outcome of the chief-designer council meeting was the decision to evaluate the use of Proton and Angara launch vehicles for the mission. The participants also had to consider the construction of a high-pressure test chamber (mimicking conditions on Venus) or find adequate existing facilities. A test chamber, which was previously used for testing Vega spacecraft, apparently fell in disrepair. In 2010, at an aerospace exhibit in China, representatives of the Russian space agency said that they discussed possible Russian-Chinese cooperation on a mission to Venus. 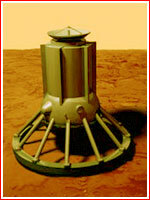 By the beginning of 2011, the Venera-D project entered Phase A (Preliminary Design) stage of development. By that time, the composition of the project had changed to include a lander, a main orbiter and an additional small satellite of Venus dedicated to studies of plasma environment around the planet. Previous plans to release balloons in the Venusian atmosphere had to be abandoned, as apparently were additional landers and an atmospheric flyer. An option to fly these technically challenging and likely expensive original components of the Venera-D project were deferred to a follow-on Venera missions, possibly a Venera-Glob project with a proposed launch date in 2021. The composition of scientific instruments onboard Venera-D also changed. In the meantime, Venera-D itself faced a tough competition for the timeframe of its launch, as well as for available funding in the Russian space program during 2010s, particularly with the Mars-NET project, which was expected to head to Mars, following Phobos-Grunt mission in 2011, Luna-Resurs in 2013 and Luna-Glob in 2014, respectively. Proposals for similar missions to Venera-D in Europe and US, which could provide a basis for cooperation with Russia, all lost competition for funding in the selection process at NASA and ESA and, as a result, had to be deferred to 2020s. (513) Still, the official launch date of Venera-D was then expected in 2017, just one year behind a previous timeline and, apparently, a year after the projected launch of Mars-NET. However following the loss of Phobos-Grunt spacecraft in November 2011 and resulting delays in all Russian planetary projects, the Venera-D quickly lost priority. In April 2012, one strategy document quoted by the official RIA Novosti news agency pushed the implementation of the project to no earlier than 2024. The authors of the document argued that even such remote launch dates would be possible only on the condition that Russia would start immediate revival of necessary testing infrastructure and technological capabilities. In the meantime, a proposal for the follow-on Venera-Glob mission had to be deferred indefinitely. In August 2012, a presentation by NPO Lavochkin placed the Venera-D mission to 2026, at the very back of a long line of planned spacecraft and even behind the project to bring back soil samples from Mars! 2016 Dec. 6: The launch of the Venera-D spacecraft toward Venus. 2017 May 16: Venera-D arrives to Venus.